The UAE schedule of Prabhas' Saaho is currently progressing at a brisk speed. The film, tipped to be an action fantasy adventure has been directed by Sujeeth Reddy of Run Raja Run fame and bankrolled by UV Creations for a whopping budget of Rs. 150 crore. 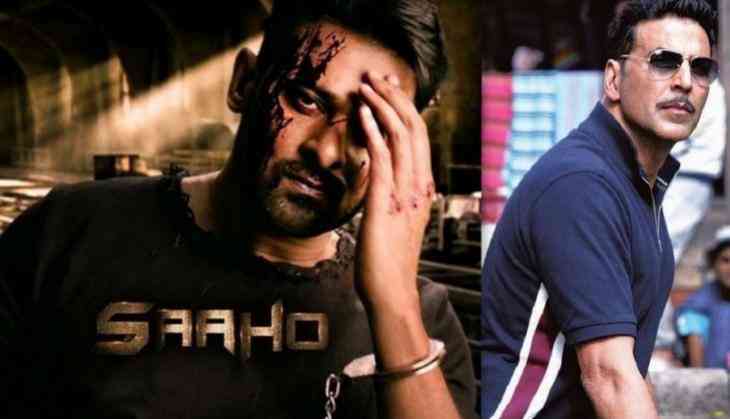 Saaho also marks the Telugu acting debut of Bollywood actress Shraddha Kapoor. Earlier, many media reported that the makers of Saaho rejected a Rs. 220 crore deal of popular Bollywood production house T Series to get the theatrical rights of Saaho. However, according to the lastest reports, T Series has joined hands with UV Creations to present the Hindi version of Saaho across the North India. Reportedly, Bhushan Kumar, Business Head of T Series has already met the Baahubali actor Prabhas and Vamsi and Pramod of UV Creations to finalize the deal. Apart from Telugu and Bollywood, Saaho will have simultaneous releases in Tamil and Malayalam as well.